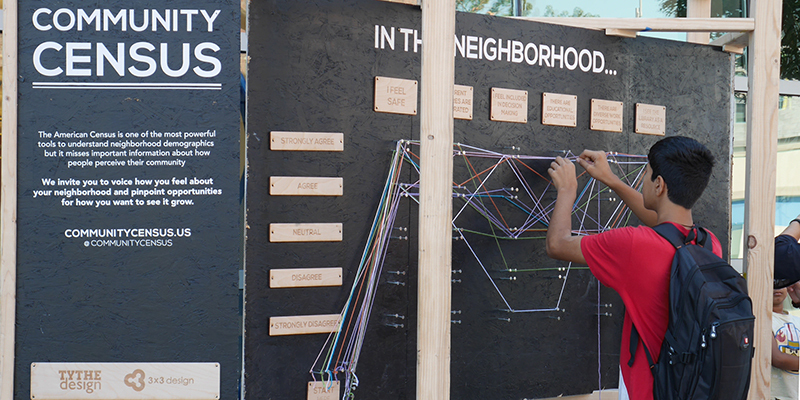 In September 2015, TYTHEdesign and 3×3 Design partnered with the Brooklyn Public Library to bring the Community Census Installation to Kensington, Brooklyn. 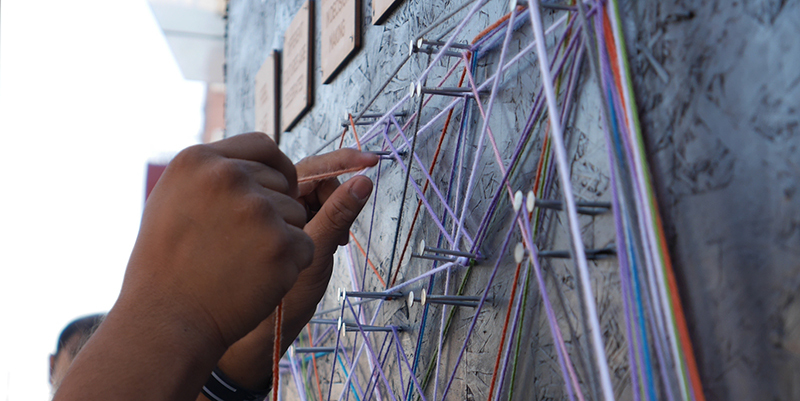 The installation was launched in front of the Kensington Library, the new environmentally-friendly facility at 4207 18th Avenue. It was a great day to talk with a diversity of residents from Uzbekistan to China to hear what they want to improve in their neighborhood and how the library is an amenity for their families. 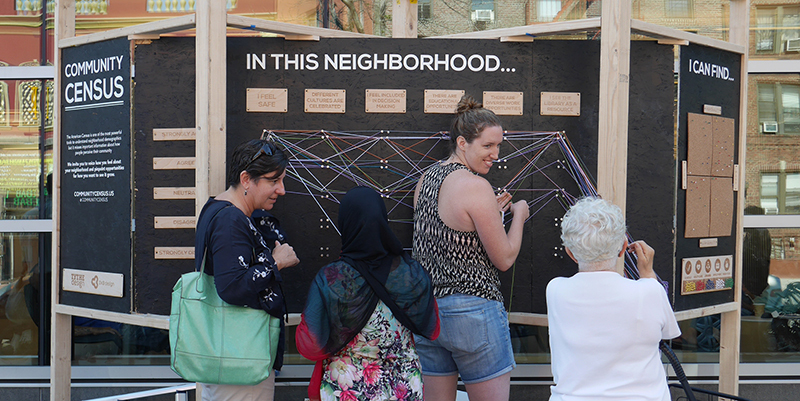 Our team talked with 75 participants to discuss what type of programming the library could offer its global patrons and discussed the quality of local resources. 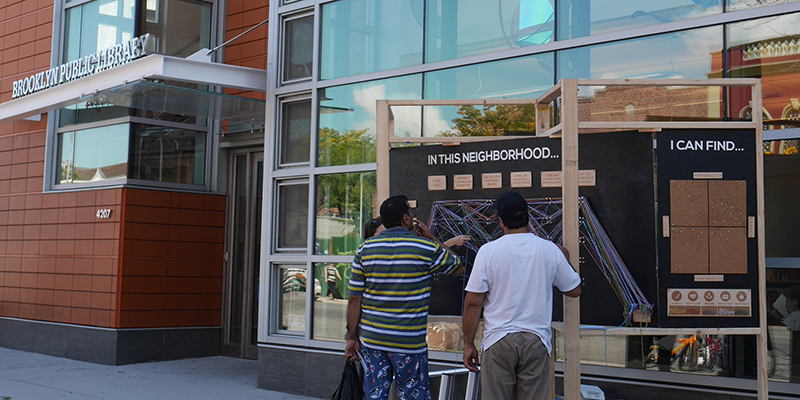 The installation was launched in front of the library, creating an outdoor community space for residents to share stories and talk with library staff.